Style 0.78Ct Pink Oval Diamond Ring Micro pave Setting 18K White/Rose Gold W/ GLS Cert. Categories: Diamond Engagement Rings, Diamond Jewelry, Diamond Rings, Diamonds, Fancy Color Engagement Rings, Gold, Halo Style Engagement Rings, Jewelry, Micropave Style Engagement Rings, Oval Cut Engagement Rings, Rings, White Gold, with Diamonds. 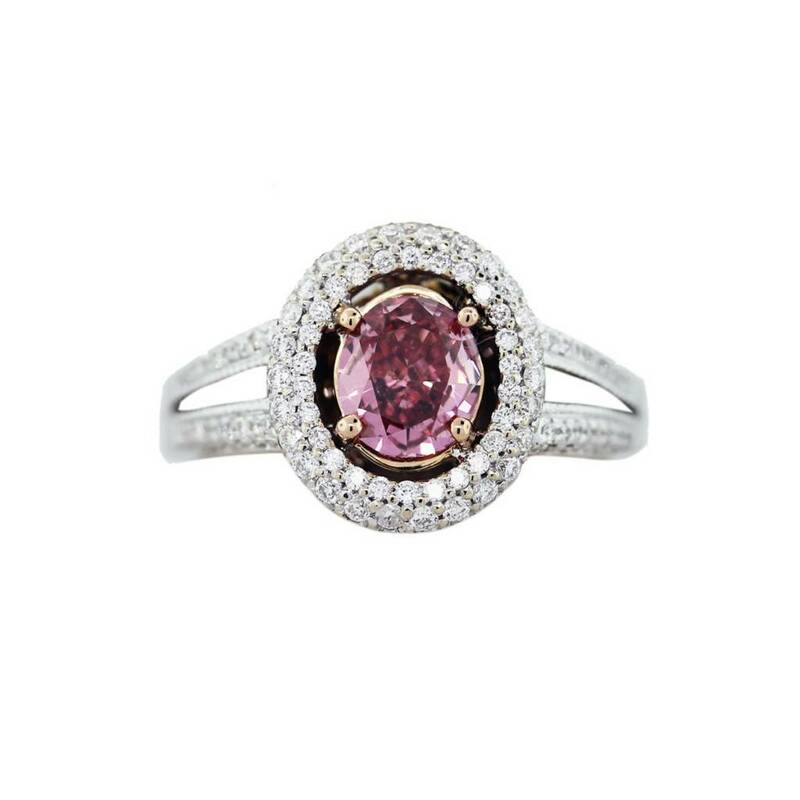 Tags: pink oval cut ring, pink oval diamond ring.